The rise of B2B ecommerce may seem unexpected, since bulk buying has been associated with traditional sales channels for a long time. But a 2015 Forrester industry report predicted that the B2B ecommerce market would top $1 trillion in the next five years, and it’s on track to do so. So it’s clear that this evolution is making sense to B2B sellers and buyers. Let’s take a look at why. In a way, the transition from traditional B2B to ecommerce is similar to the transition in the B2C market. Both sectors were overtaken by ecommerce very quickly, and the reason is pretty apparent. The B2C market, besides serving a different type of customers, has always offered buyers the flexibility and independence that B2B buyers lacked. This became especially noticeable after the B2C market shifted to ecommerce and self-service. Noticing this, B2B buyers also started to demand the flexibility of ecommerce, and their wholesalers had no choice but to change as well. This article explains traditional B2B selling, its shortcomings, and the basics of the B2B ecommerce model that businesses use today. Let’s first take a look at what B2B is and how it works traditionally, using an example. B2B, or business-to-business sales, is when one business sells products wholesale or in bulk to other businesses. The transactions are strictly between two businesses, whereas in B2C or business-to-consumer transactions, a business sells directly to a consumer. We’ll talk more about the differences between B2B and B2C later in this article. If you look at manufacturing businesses, they don’t usually manufacture every part that goes into the final product. So to assemble the finished product, they’ll have to purchase some parts from other vendors. This would make the first business a B2B buyer, and the second one a B2B supplier. For instance, an automobile business assembles parts to form the final product, an automobile. Most of the parts, like the tires, electronic systems, and battery, are purchased from other businesses. The manufacturers of those components are classic examples of B2B business. The traditional B2B model has a few faults, which B2B ecommerce helps to avoid. Completing a B2B order takes a lot more time through traditional sales channels than it does with ecommerce. A traditional B2B sale would normally start with one business placing an order with their vendor. In order to keep things organized, some vendors put off checking their orders to the end of the day, regardless of when the order was actually placed. After checking the order, the vendor needs to manually check if their inventory has sufficient stock to fulfill the order. If they do, then the product can easily be packed and shipped off to the customer, but if they don’t, then they need to restock or manufacture more, which further extends the order time. Without at least part of this ordeal performed online, it can take a very long time. Further, businesses that depend on “just-in-time” manufacturing have a hard time working with the traditional B2B model’s delays. By switching to online ordering, businesses can cut down a lot of the time spent on each order. The businesses trying to make purchases can check their vendors’ stock without having to wait for someone to manually open their order, and they can place orders to be received, processed, and shipped automatically. With a traditional B2B model, businesses need to invest in store and warehouse rents, labor and maintenance costs, marketing fees, and more. By going online, sellers can market to more customers with a smaller advertising budget, and without a brick and mortar store. This cuts down costs, freeing up budgets that the business can use for growth instead. Ecommerce basically makes selling in the B2B market less expensive. A traditional sales process doesn’t offer many modes of payment: just checks, cash, and cards. With fewer choices, businesses start to receive more late payments. With B2B ecommerce, suppliers can let their customers pay through a variety of online and offline modes and choose whether to pay immediately or in installments. Offering flexibility elevates the seller’s chances of getting paid on time. With traditional sales a business’ scope is limited to supplying a local area, or at most, a national market. But a good B2B solution needs to be able to expand to new markets and buyers, which is much easier when you’re online. Getting online allows B2B businesses to market and be found by other businesses from within their sector, not just the ones that are close by. With ecommerce you are not only making it easier for you and your customers to do business, you can also expand globally and reach customers in any part of the world. Now let’s look at some of the basics of B2B ecommerce. Simply put, B2B ecommerce refers to one business selling wholesale online to other businesses. It is ideal for distributors or manufacturers that are already selling wholesale and are looking to expand further. B2B ecommerce allows different industries to make online transactions with each other. How does B2B ecommerce work? B2B ecommerce starts with setting up a B2B portal, which is very similar to an online retail store, but is used between two businesses. After a wholesaler or manufacturer sets up their store, they can display product details such as description, stock on hand, prices, and any discounts or deals that may apply. Interested B2B buyers can view and place orders just like they would in an online retail store. Also like online retail stores, B2B vendors can allow their business customers to create an account while making a purchase. This lets them access their account information, like order history and shipping preferences, and also provides a little more assurance of the safety of their transaction. Think of buying from a B2B portal like buying from an Amazon seller. Vendors sell products on Amazon, and they are grouped into categories that help customers find what they’re looking for easily. Customers can view images of each product, along with details like price, stock on hand, and the vendor’s business name and contact info. With enough time, a customer can browse and compare to find the best offers from different vendors. Amazon also remembers previous purchases made from your account and shows you similar offers that can help you shop quickly. Similarly, a B2B portal displays item details, lets business customers browse and place orders, and uses account history to show the buyer relevant items and deals. How is B2B ecommerce different from B2C ecommerce? It’s very common to confuse B2B and B2C ecommerce, but there are a few important differences between them. The first difference between B2B and B2C ecommerce is obviously that they are aimed at different buyers. B2B buyers are businesses, whereas B2C buyers are end consumers. You may be wondering why that makes such a difference, because after all, a business purchasing from another business is also a consumer, right? One of the main reason is B2B businesses are meant for selling products and services to other businesses. This means that they supply in bulk quantities. B2C on the other hand, is meant for consumers who would not purchase as bulk a quantity as businesses would. Another reason that differentiates B2B and B2C, is the purchasing process. 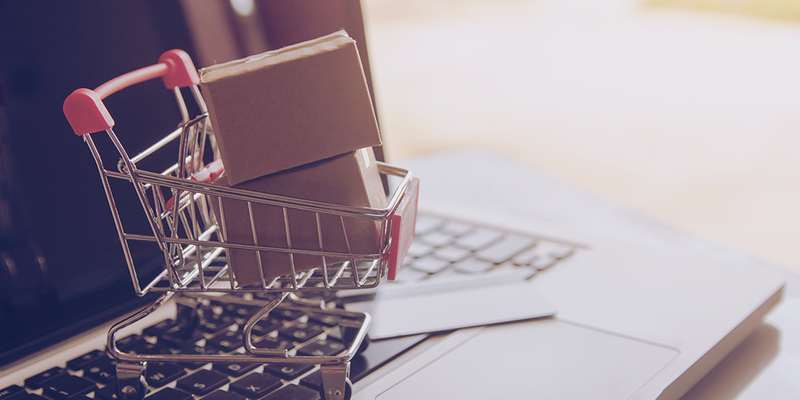 With B2C purchases, once the customer finds a product they like, the actual purchasing process is simple and quick - they just go online and buy. But since a B2B purchase is typically used to run the business, it often involves extra steps. Various agents within the business may first need to consider the item’s cost, after which they collect quotes or estimates from different vendors, before finally comparing them and getting the necessary approval for an order. This naturally leads to a long purchasing process. For instance, if you are purchasing a light bulb for your home from an online retail store, you can simply choose the right light bulb and place an order with the store. On the other hand, if you are purchasing a large number of bulbs for your business that makes decorative lamps, you’ll need to discuss the type of bulb with your design staff, and the price with your finance department and then place the order. This will inevitably take a little longer. Another important difference is the average revenue that each market produces. B2B companies generally make large bulk sales to repeat customers, so they bring in a lot of revenue. A B2C business would have to sell more products to more customers to reach the same average revenue as a B2B business. Since B2B businesses sell products in bulk, they would need to constantly replenish their stock levels in order to be able to fulfil large orders. This is why they are more likely to revisit the same vendor. B2C businesses on the other hand, do not have to replenish their stock as frequently as B2B businesses or as much in quantity. This is why B2B vendors have a higher chance of retaining their customers than B2C businesses. Switching from a traditional B2B system to ecommerce can be difficult at first, but it means changing to something better. Traditional B2B requires you to spend more time completing orders, costs you more money to set up a physical store and maintain it, and limits your customer reach to a geographic area. B2B ecommerce saves you time and money on every individual transaction, offers the chance to expand internationally, and is more flexible to your business’ unique requirements. If you’re looking to upgrade your traditional B2B sales model to something that offers more benefits to your business, B2B ecommerce is your answer.